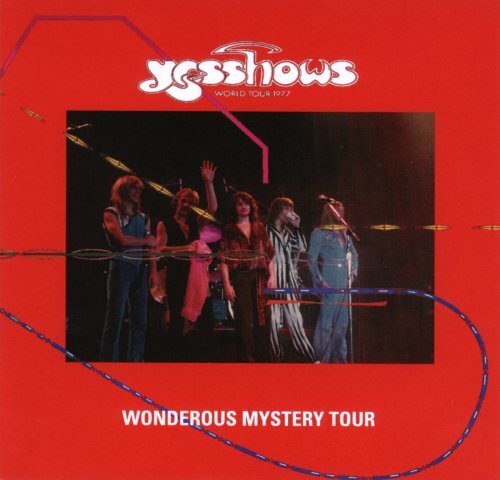 MY FIRST YESSHOW.AWAKEN WAS MINDBOGGLING AND STEVE HOWE BLISTERED ON YOURS IS NO DISGRACE.ALSO ANDERSONS VOCALS WERE SPECIAL AND ALL GOOD PEOPLE WAS A KILLER. I HAVE THE TAPE OF THIS SHOW. IT'S B TO C QUALITY. THIS SHOW IS TOTAL PANDAMONIUM. MIND BOGGLING, ESPECIALLY THE AWAKEN AND STARSHIP TROOPER. 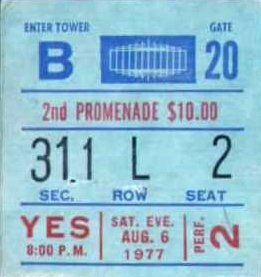 Wonderful memories: My first Yes show. My second concert I had ever attended. A nice date. Getting stuck in Port Authority after the busses stopped running. ...Ok that last one wasn't great but the show was terrific. The setlist leaned heavily on GFTO as was expected. The sound was Very louddd! All were played extremely proficiently and the crowd was really into the show. 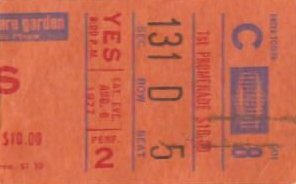 The one thing I really came away with was that to truly appreciate Yes you had to see them live! This gig was a truly magical evening! The classic lineup was back in New York and have never sounded better. I had seats in the upper balcony in back of the band and overlooking Rick's keyboard set up which included 5 Minimoogs and his Mander pipe organ. On this tour Rick was using a total of 17 keyboards onstage--a roadie's nightmare!! Jon's voice was angelic and the rhythm section of Squire and White was amazing. The real surprise of the evening was Chris's 3-headed bass which looked and sounded beautiful and must have weighed a ton (Rickenbacker's aren't light!). After the main set the band came back with 3 stunning encores, Starship Trooper featuring a great exchange between Howe and Wakeman during Wurm. This was the best I've ever heard YES and I'm still looking for copies of the tapes!! A Saturday night in New York City!!! 2 days after returning from the show in Philly. After "Roundabout" the lights went up, but the cheering was so loud that the lights were then turned off and Yes returned for "Yours Is No Disgrace". We had seats on the side adjacent to Chris.